We know alot about the industry. And we're pretty darn good at placing the right people in the right places. Here's where we keep all our insights and news on everything in our world. What's it like to work in Estate Agency? Results from our recent research have highlighted your frustrations in recruiting talented staff whether experienced or not. An iPod, solar battery charger and Bear Grylls would get Hollie through a desert island stay! LCA: Award winners at EA Masters! We had an amazing day at the EA Masters, culminating in LCA being awarded the top ranking of "Exceptional" in the EA Masters' Supplier category. Thanks for all your support! Earlier this month, LCA's Lynn took to the floor to raise money in the Agents Giving Charity Ball! Agents Giving Ball 2017 - What a night! The fourth annual Agents Giving Charity Ball took place on 8th December 2017 at The Royal Lancaster Hotel London. LCA have been recognised for its outstanding customer service to its clients by The ESTAS. LCA = Best Recruiter 2018. And it's all down to you! 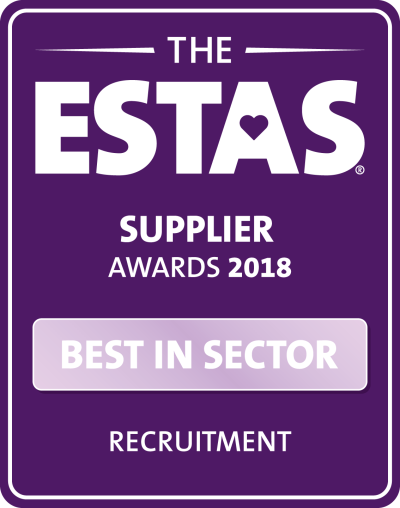 LCA Jobs won Best Recruitment Supplier 2018 at last Friday's ESTAs - and we can't thank you enough. LCA's Lynn is riding 100km for the Alzheimer's Society for her Dad - can you help too? Lynn raises £2,300 for charity! Our always-on leader, Lynn, smashed her target of £1,000 with help from you and dozens of others - thanks! LCA Jobs were at the biggest residential property awards event in the UK recently – the EA Masters, where the top estate agents across the country receive recognition for exceptional customer service. This is the time of year for celebrating, and LCA Jobs has been a part of the UK's leading estate agency awards. Our director has been recognised for her fundraising achievements at a charity ball in London. Christmas is known as a time of giving, and LCA Jobs has entered that spirit to support a local charity initiative. 2019 is getting off to a great start for a member of the LCA Jobs team.